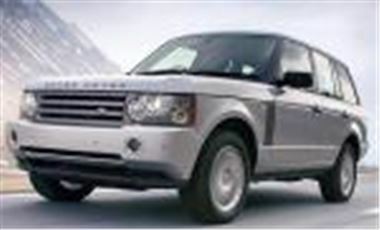 www.uk-car-discount.co.uk Offers Cheap New Rangerover TDV8 Vogue Stock Vehicles. UK Dealer Supplied with Free Delivery, 12 Months Road Tax and 1st Registration Fee All Included. Huge savings on Manufacturers List Price. For prices please visit www.uk-car-discount.co.uk where there are savings of over £3,700 on List. Vehicles are in stock ready to go mainly Silver or Java. Log on Now to calculate your monthly payment. Buy for Cash, Personal Contract Plan or Cheap No Fee HP Available From 7.9% APR. Guaranteed to beat any accepted like for like Hire Purchase quote for any vehicle. Call 08451707770 for Full Details.